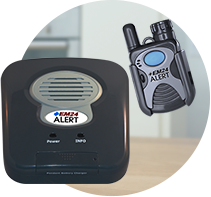 The world’s smallest two-way voice speakerphone pendant from EM24 Alert operates just like a telephone with a built-in microphone and speaker. Just press the button and speak with an EM24 monitor whose voice will clearly emit from the same equipment. 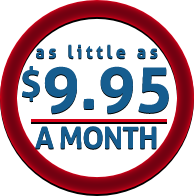 For as little as $9.95 a month, you will have the ability to call for help from your home anytime it is needed. 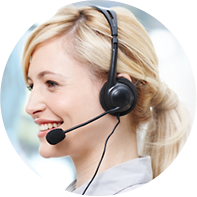 We encourage you to compare our pricing to any other medical monitoring company in the United States. Every EM24 Alert monitor must pass a national background check, receive months of training, practice in a test environment and then observe an experienced monitor to further refine their skills. Only then are monitors allowed to perform EM24 Alert services. EM24 Alert is there when you need us. EM24 Alert is a service of EMERgency24 Inc., an Underwriters Laboratory alarm monitoring company with five fully staffed central stations strategically positioned throughout the U.S. Founded in 1967, the company recently built a 15,000-square foot central station in Des Plaines, IL. EMERgency 24 remains ahead of the security industry’s technological curve by staffing in-house computer-programming and engineering expertise that allows us to develop an array of customized services, including EM24 Alert.